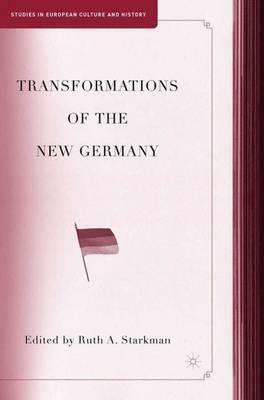 This collection demonstrates the persistence of the initial anxieties about a united Germany and its rapid absorption of the German Democratic Republic, and also suggests a potential optimism that, despite much contemporary domestic disenchantment, the new Germany continues to thrive as a European democracy endeavouring to confront its past. Illustrations note XVII, 254 p.
RUTH A. STARKMAN teaches political and social philosophy and ethics at the University of San Francisco. She lives in Mill Valley, USA.